No home cinema is complete without a good sound system. But it can be difficult to know where to start, especially if you’re not good with tech. So, what should you do if you want home audio Colorado Springs? Let’s find out! Do I Need Home Audio Colorado Springs? No—you don’t need any of those things. But wouldn’t they be fun? And if you’re planning on having a home cinema, there’s little point creating one if you don’t focus on audio too. Having a top of the line projector, or a gigantic screen, is great fun. But the cinema experience will feel unfinished if you don’t pair your visuals with top notch audio. What Makes Great Home Audio Colorado Springs? There are a number of different parts to every great home audio system. These are the sound bar, the towers, and the bookshelf speakers you use to create surround sound. And besides that, you have to think about smart speakers too. Or you could pick an all-in-one system—whatever works for you. A sound bar (or soundbar) is by far the easiest way to improve your home cinema experience. It’s a long, narrow speaker that sits flat on your TV table, ideally in front of your TV. They’re marketed as an effective but cheap way of upping your game when it comes to home entertainment. Why do you need one? Well, TVs have become thinner and thinner over the last decade. That desire for thinner TVs with wider screens has meant that there’s less and less room inside the body of the TV for speakers. A sound bar is supposed to remedy that. You can pick one up for $100 or so, or more if you want higher quality. You can buy them with either built-in or external subwoofers. The idea is to create a stereo effect with rich sound. If you’re on a budget when it comes to your home cinema, you can get away with just getting a soundbar. They don’t need installation, either. They just sit in front of your TV and plug right in—or even connect through Bluetooth. If you want your home cinema to be practically indistinguishable from the real thing, you’ll need tower speakers. They come in pairs, and sit on each side of the TV. Tower speakers have always been the heavy hitters, the big guns of home audio. They typically have at least two big speakers and one small speaker arranged in a row from top to bottom. The smaller speakers are for the higher pitches, and the bigger speakers are to round out the sound at every level. Towers don’t always have a subwoofer built in, but they can. 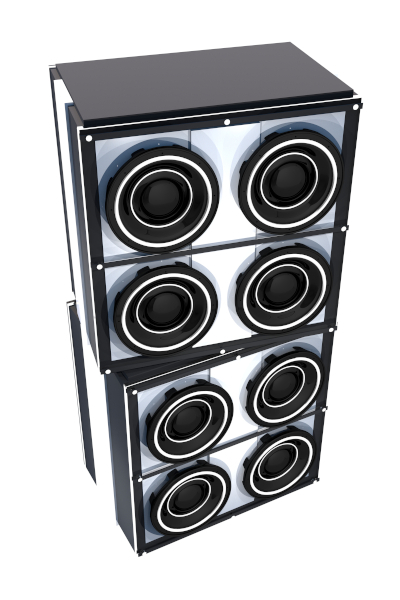 Again, this means that these speakers can form the backbone of your home audio or be part of a set. If they’re part of a set, then you’ll have a separate subwoofer that sits elsewhere. Again, these speakers don’t need to be installed. They either plug in physically, or work via Bluetooth. Do I Need Surround Sound? The idea of tower speakers and sound bars is that they provide stereo sound. Stereo sound, as you know, is where the sound is split into two—one feed on the left, and one on the right. This split means that the sound set sounds more realistic, as if the ‘explosion’ really was coming from your left. You can arrange these speakers in combination with either the towers, or the sound bar. Both sound great. It’s best if these speakers are Bluetooth because that makes them so much easier to install. If you pick a budget option that needs wires, then you’re limited in where you can put them. Plus, you have ugly wires around the place. It’s possible to wire them up inside the walls, although this obviously incurs costs. Can I Get an All-In-One Speaker System? If you don’t feel like spending your money on lots of different speakers, you could get an all-in-one system. These are typically cheaper, and sound similar to a sound bar. They’re bigger, though, and sit inside the TV stand (or wherever you want to put them). While they aren’t always as high quality, they are cheap, and are very easy to install and use. What Else Might You Need for Home Audio, Colorado Springs? You’re going to need more than just your sound system. You’ll need visuals too. Whether you achieve that through a projector or a big screen is up to you. To fix these problems for you, you’ll need an electrician. That’s where we come in! We can help you with all these additional problems—the things you just don’t consider when you get the ‘home cinema’ bug. So if you want home audio Colorado Springs, get in touch today!